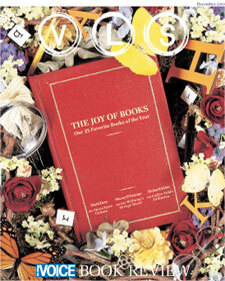 The VLS showcases its 25 favorite books of the year. Necrophilia, serial killers, crackpot conspiracy theorists—Apocalypse Culture's second installment continues its obsession with taboo topics, but is there any value in the shock? Mark Dery takes stock of the lunatic fringe. In The Quick and the Dead, Joy Williams delves into the hilarious—and entirely unstable—world of three motherless teenage girls. Stacey D'Erasmo explores the trope of loss. This year's coffee-table books are as heavy as ever, but big's the point, since they're meant to be displayed where they can show off the owner's taste. Richard Klein ponders the picture book as seduction prop. The title heroine of Padgett Powell's Mrs. Hollingsworth's Men sits down to write a grocery list, but instead gives us a wild narrative full of sexual fantasies and digressive rants. Ben Marcus finds experimental fiction in the mind of a Southern housewife. In Leonardo Sciascia's mystery novels about the Cosa Nostra, there's crime but no solution, and the quest for truth is an absurd and surreal act. Alex Abramovich revisits two books by the Mafia writer.